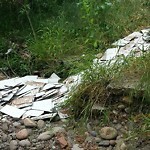 Tile dumped in Auburn Creek below 4768 50th. 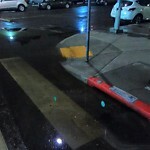 Storm drain is backing up again this morning & starting to flood the cross walk. This is a newborn issue add it is right in front of Ericson. Long yellow pole, about 2" in diameter, at the bottom of the storm drain inlet on the east side of Dusk Dr, across the street from 2380 Dusk Dr.
6799 Elegante (behind Elegante) - Standing water and large amount of mosquitoes in houses above. 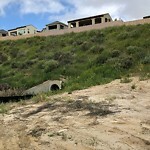 Clean out the storm water channel of vegetation to prevent further erosion and eventual washout of the eastern berm. 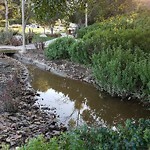 Storm water channel is located directly behind the City Ranger Station in the Los Penasquitos Canyon Preserve. 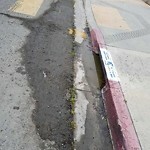 The two storm drains on the SE corner of India st and Robinson ave are clogged and the water is not going in. 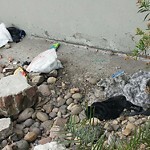 SOPHIA DROPPED CELL PHONE INTO STORM DRAIN NEAR MISSION BLVD AND YOLK CT. PLEASE CONTACT HER WHEN NEARBY. SHE SAYS SHE CAN SEE PHONE BUT CANT REACH IT. Storm Drain is backed up and not draining.